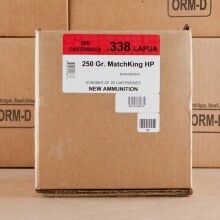 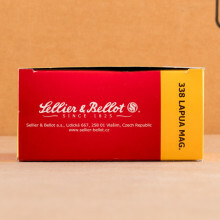 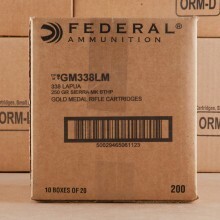 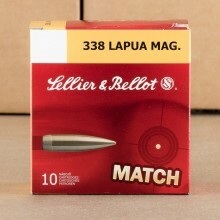 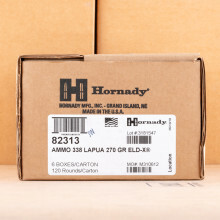 A military and long-range sniper rifle round, 338 Lapua Magnum ammunition is large and enough to penetrate multiple layers of body armor. 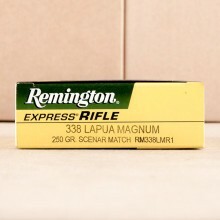 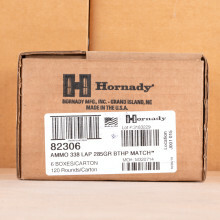 With a standard 250 grain bullet, expect muzzle velocities in the vicinity of 3,000 feet per second. 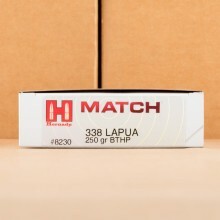 Today, 338 Lapua is in heavy use by militaries all over the world, like the United States, Canada, Uunited Kingdom and Australia.